Cut eggs lengthwise and remove yolks. Set aside half the yolks in bowl and discard the others. 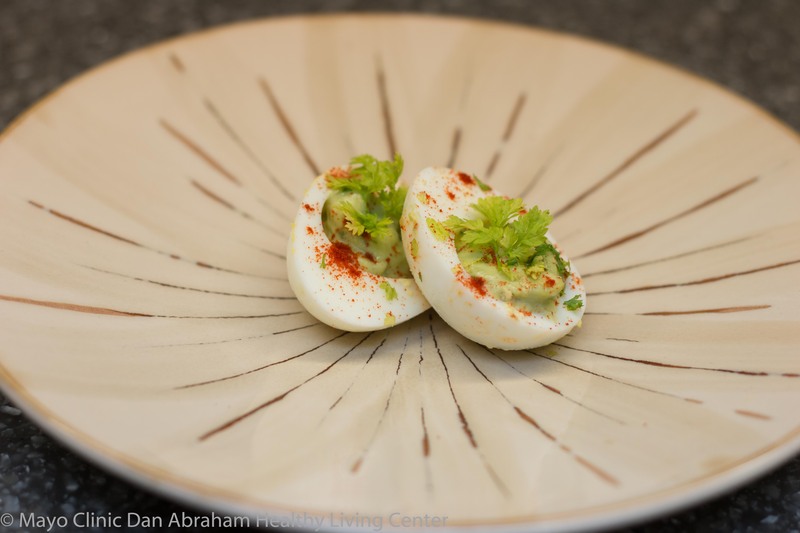 In a medium bowl combine egg yolks, avocado, lime juice, mayonnaise, half of the parsley, cayenne pepper and garlic. Spoon mixture into egg whites and garnish with other half of chopped parsley. Technique: By using acidity and spices we don’t need to add salt. Taste: The garlic gives these eggs a little bite. Try: Add a little more zest! Tip: Avocados are a good source of monounsaturated fat and lutein, which may protect vision.